Ever wonder how your computer vendor put their logo and information in the System Information applet? In this tutorial we are going to show you how to do it using TweakNow PowerPack 2011. 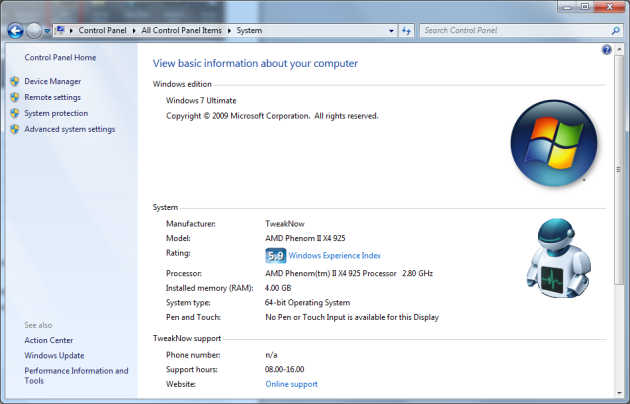 Go to the Windows Secret tab and click the OEM Information button. Enter system information and support information. Click the Add button and select image that you want to use as logo (recommended size 120x120). Go to Control Panel folder and open the System applet. If everything works properly, you should see your logo and information there.